I know - it is spring and getting warm outside, but I still can't resist a delicous bowl of chili. I created this recipe because I love easy and flavorful. 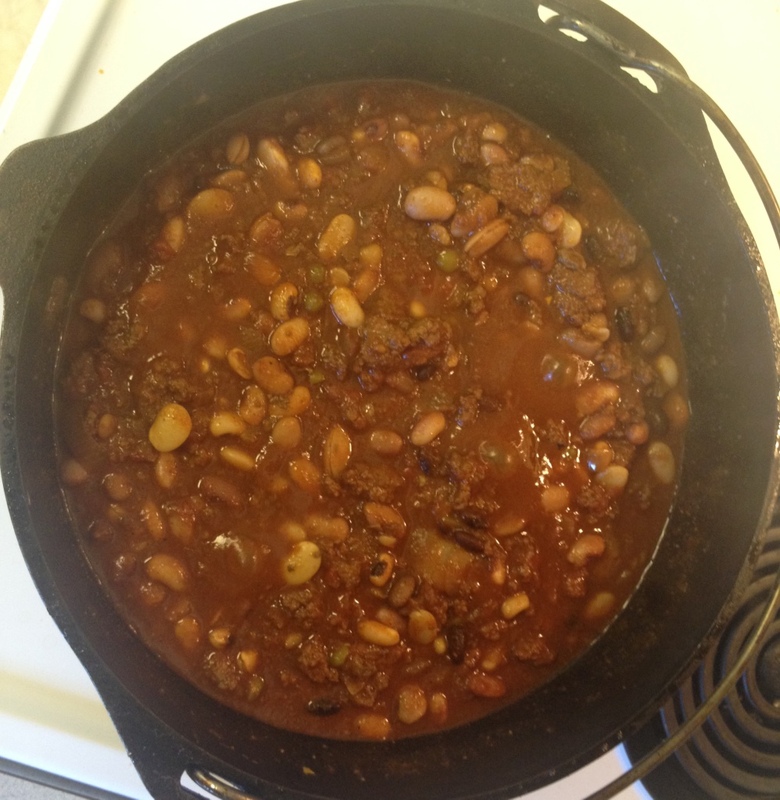 The cast-iron dutch oven is what I believe gives this chili it's amazing flavor.1 Leftovers freeze well. I love to top tamales or baked potatoes with chili. I also serve it with shredded cheese, green onions, corn chips and a dollop of sour cream, or cheese crisps. Drain and rinse soaked beans. In a 5-6 quart Dutch-oven, brown ground beef, leaving in larger pieces. Drain. Add remaining ingredients (including beans), stir, cover, and bring to a boil. Reduce to a simmer and keep covered. Stir every so often. Simmer 3-5 hours until beans are tender.